I think Ayushmann Khurrana‏ doesn’t need any introduction now as he has done many good acting so far and got many fans. He made his debut in Vicky Donor which was an awesome movie to make anyone fall in love with him. He’s an actor, the singer has been a VJ in the past and now has been winning our hearts by tweeting two liners on his Twitter account. 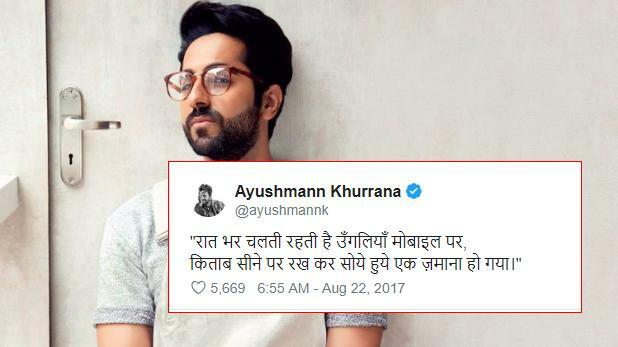 Check Out His 15 Tweets By Ayushmann Khurrana That’ll Make You Fall In Love With Him!